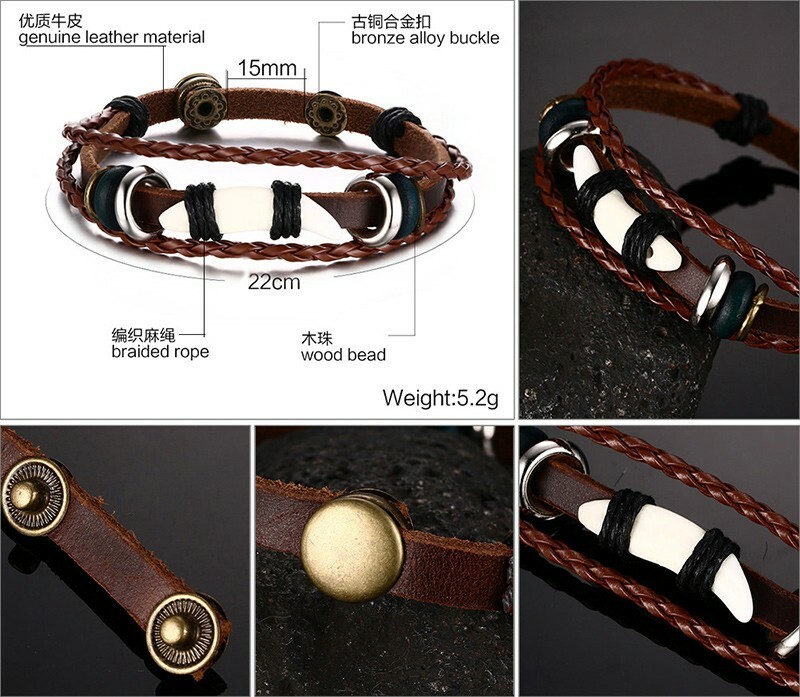 This genuine Stainless Steel Leather Bracelet is the ideal accessory for individuals looking to complement a plain-sailing look to create a low-key and classy look. 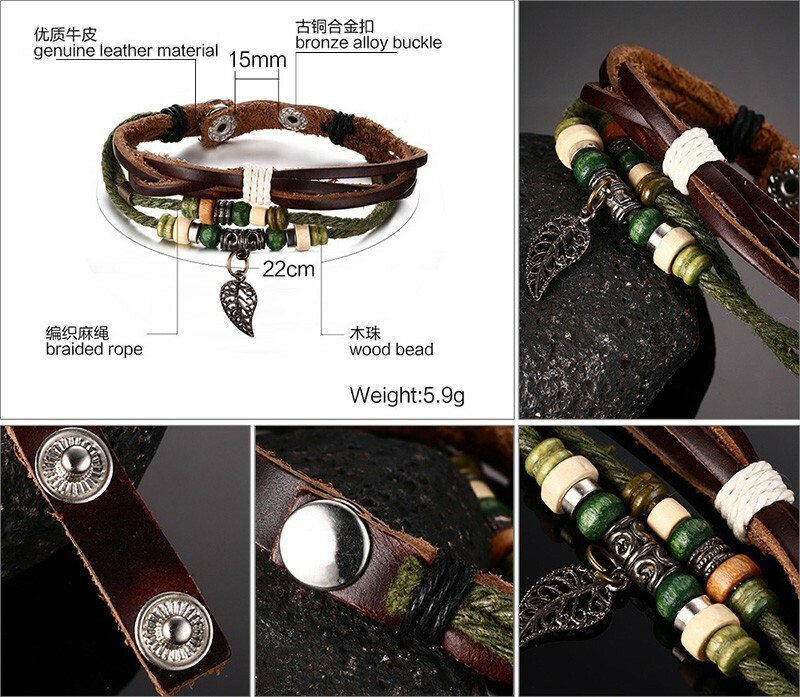 Natural and high quality components wrap around your wrist comfortably with the aid of a safety clasp that is integral to the design feature. 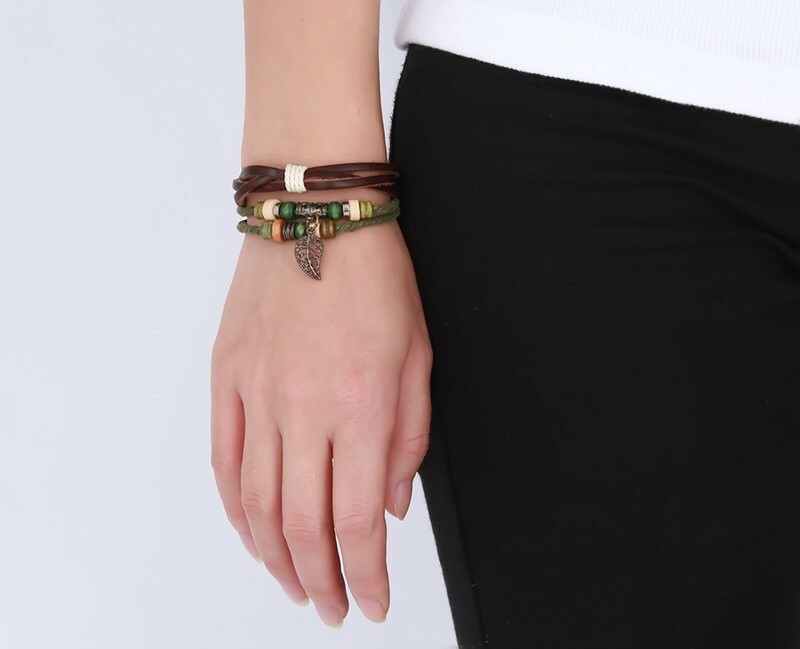 It is guaranteed that the bracelet is a one-size-fits-most hence making it perfect for any individual (unisex) keen on looks and fashion. 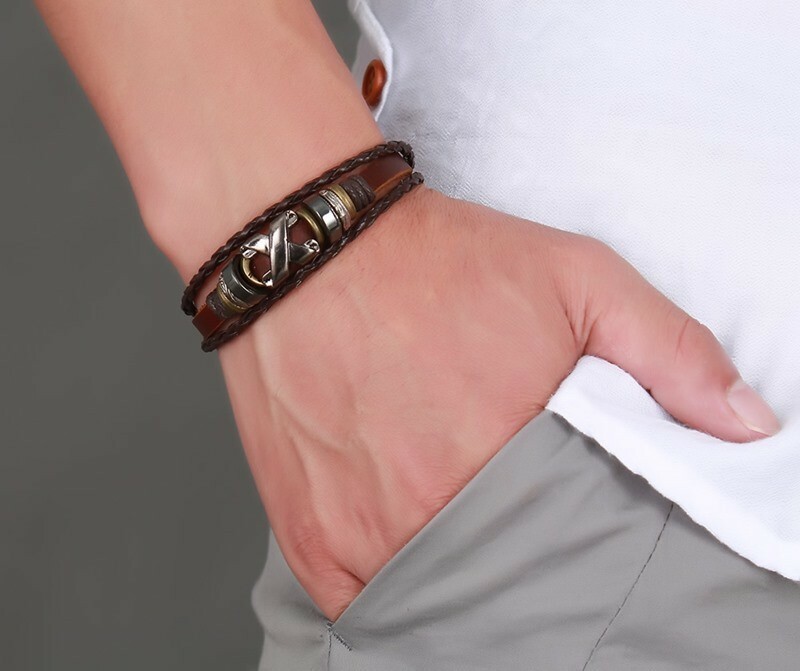 Pairing the accessory with other bracelets or a timepiece provides a definitive look and feel. 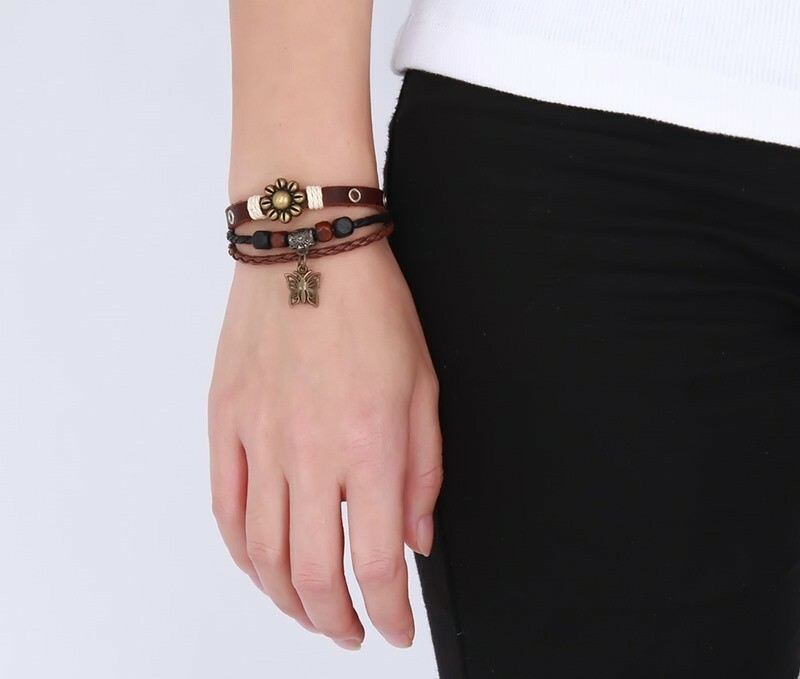 Hurry and get yourself one at All Trendy Stuff while stocks last! 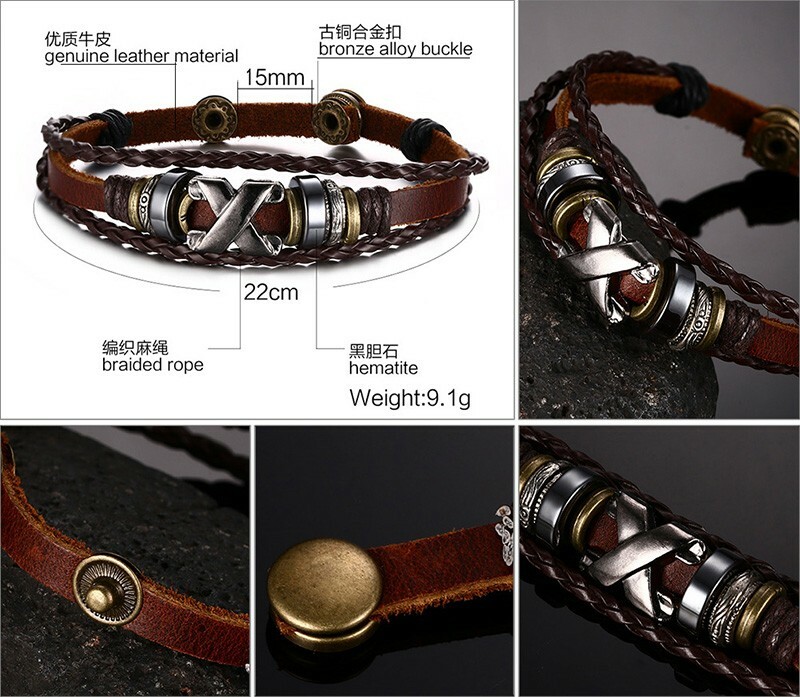 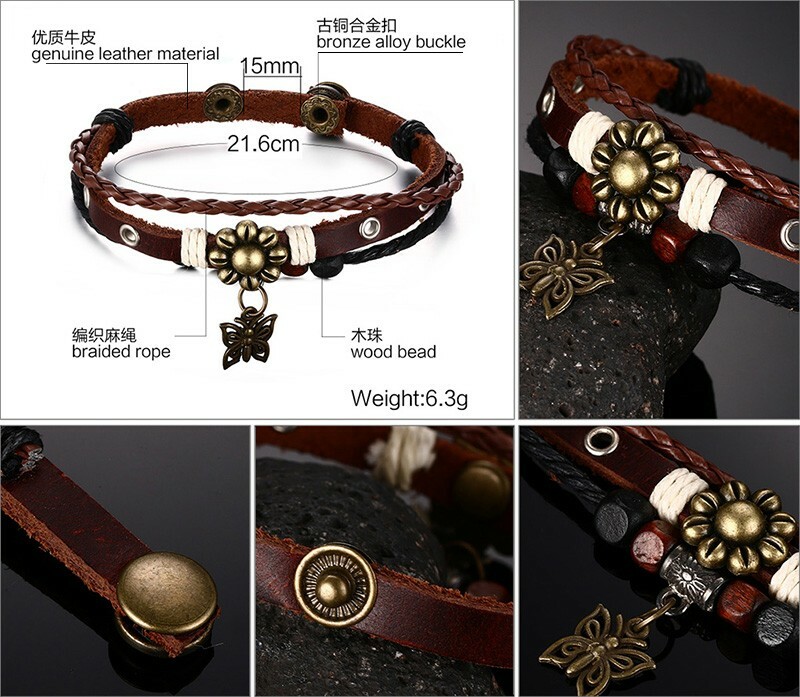 Brown Genuine Leather Bracelet Men's Bangle Stainless Steel Fashion Retro Charm Jewelry for Women.